It’s safe to say that it’s summer time, folks, and that means it’s time to gear up for all your favourite music festivals — but can you guarantee your safety this summer? Along with the joys of listening to music from your favourite band, rubbing up against sweaty strangers, and buying over-priced lemonade, music festivals are often enjoyed with a number of drugs being passed around from tent to tent. The sun is shining, you’re with your best friends in the world, and you’re listening to great music — so what’s wrong with popping a couple of brightly coloured pills to enhance your festival experience? Not so fast. In 2017, B.C. has seen a rise in the number of drug overdose deaths since the introduction of high quantities of fentanyl cut into street and party drugs. In many cases, casual drug users don’t even realize they’re taking fentanyl. From January to March of this year, over 340 people have died in the province from drug overdoses, according to the B.C. Coroner’s Service, with Vancouver, Surrey, and Victoria as the top three townships with the most overdoses. Just a few specks of fentanyl can result in an overdose, and, as a result, it’s difficult to tell what drugs are safe to take anymore. In the last week, a Victoria pharmacy has reported that they have found fentanyl in over half of the cocaine and MDMA samples they receive for testing. There are ways, however, for you to make sure that the pills from your trusty dealer (the guy from two tents over you met on the way into the festival) are safe. 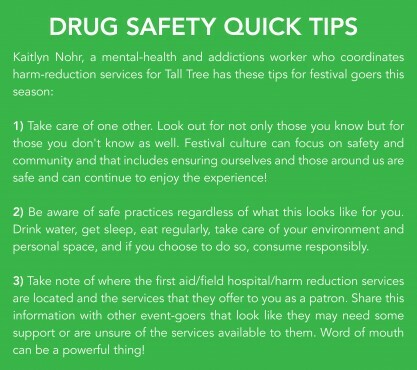 Most music festival organizers don’t condone the use of illicit drugs at their venues, obviously, but due to a rise in drug overdoses caused by fentanyl, some festivals have taken the initiative to keep attendees safe with designated tents for drug testing. 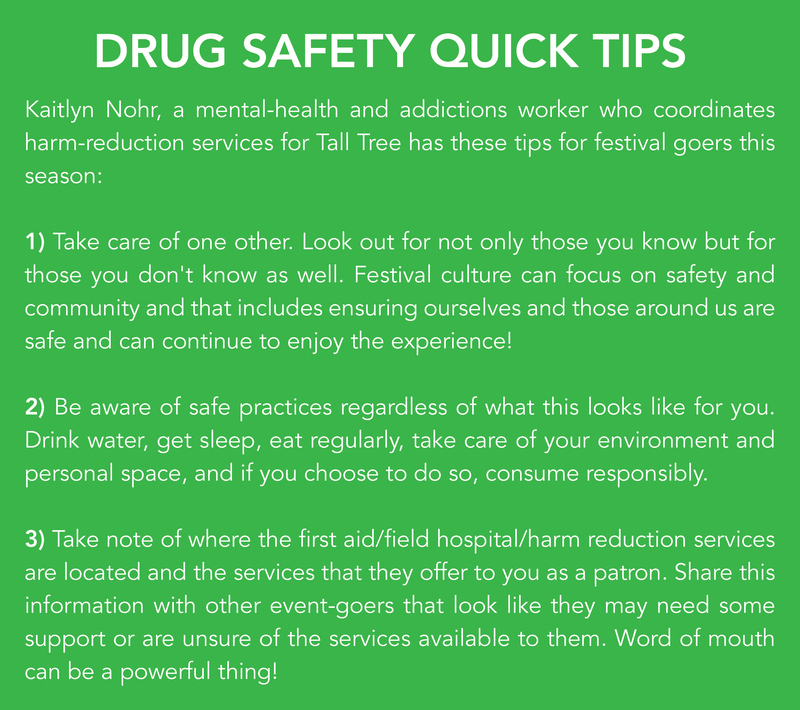 Larger festivals like Tall Tree Music Festival in Port Renfrew will have dedicated harm-reduction teams and drug testing tents that are confidential to visit. Some pharmacies, like STS Pharmacy, will also test your drugs for free before you go to a festival , giving you peace of mind. As you’ve probably seen in news reports, the main resources that festivals and venues have to combat fentanyl overdose are Naloxone kits. But what are they? Naloxone (pronounced Na-Locks-Ohn) reverses the effects of opioids. When injected, Naloxone takes from two to five minutes to begin working, with the effects only lasting up to about an hour. 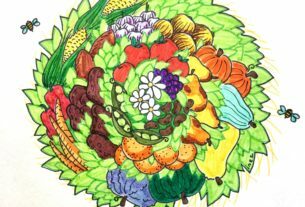 The effect of the opioid may last longer, though, so its best the person gets attention from medical professionals right away. Most medics at entertainment venues will have Naloxone kits provided by organizations like DanceSafe and Toward the Heart. Kits come equipped with the Naloxone vials, syringes, rubber gloves, and alcohol wipes, and might have educational inserts in them as well. Hey, what about the fuzz? After you get your drugs tested at the designated tents, you’re free to take them; you won’t be reported to the authorities by anyone. While some music festivals hire private security contractors, the RCMP and local police departments are usually present at music festivals to keep attendees safe. Again, they definitely don’t like to see drug use, but they’re there to look out for you in an emergency situation, not get you in trouble. This means that if your friend is having an overdose, and even if you’re also on drugs, you both are in the clear with the cops. So please report overdoses to authorities as soon as possible! You could save a life. So, with all that being said, enjoy your summer jams, but please don’t get yourself in a jam. Get your drugs tested and get dancing, kids!